Your Own GSM Shortcode like "30333"
Here is a solution to this DND (Do Not Disturb) palaver, which blocks your phone number or your contacts from receiving bulk sms. 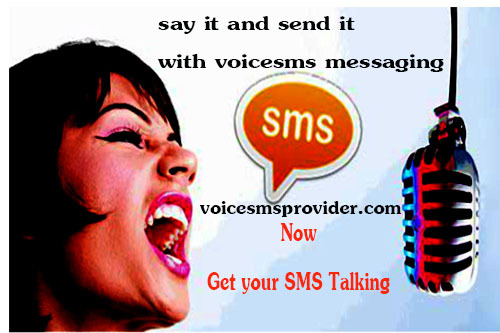 Simply follow the advice as provided by GSM networks in Nigeria. Text START to 2442 on your ETISALAT number that has stopped receiving Bulk SMS. 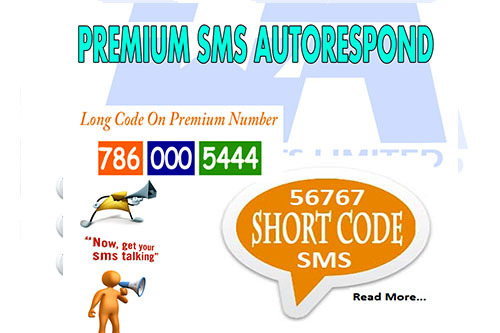 Text ALLOW to 2442 on your MTN number that has stopped receiving Bulk SMS. Text CANCEL to 2442 on your GLO number that has stopped receiving Bulk SMS. Text ALLOW to 2442 on your AIRTEL number that has stopped receiving Bulk SMS. 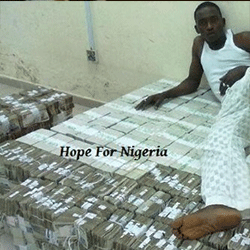 Do you know that every month, about 5 billion naira worth of SMS is sent in this country? Here is an opportunity to get your own share of the dice without stress. 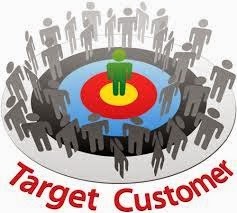 Before now, only a selected few knew and have jealously guarded secrets of how to set up a fully customizable and profitable sms portal with your own gateway. 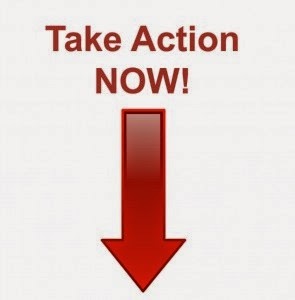 Now you too have the opportunity...Everybody is making money from the bulk sms business except you! Even GT Bank just launched their portal. See, there is money in this business. Even if we are wrong,a financial institution like GTB cannot be wrong!! 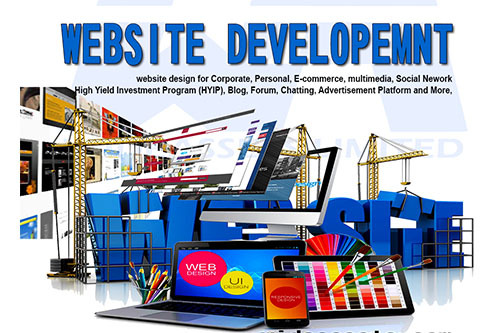 Get Fully Customizable CMS Bulksms Website of your own . 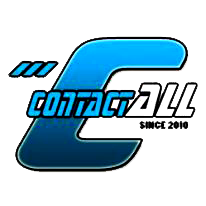 just like www.contactallbulksms.com. Your portal will be created and assigned to a unique bulksms gateway. I.e your own mini bulk sms gateway. You can load SMS units for as low as 65kobo. The good thing about having a mini bulksms gateway is that it will help you have unlimited resellers under you.YES, ARE YOU SUPRICE? the alternatives you may find will certainly charge you higher and good to know we may likely be their provider…So why not deal directly with the source and be equal to them?? ?WE HAVE A GOOD NEWS FOR YOU. 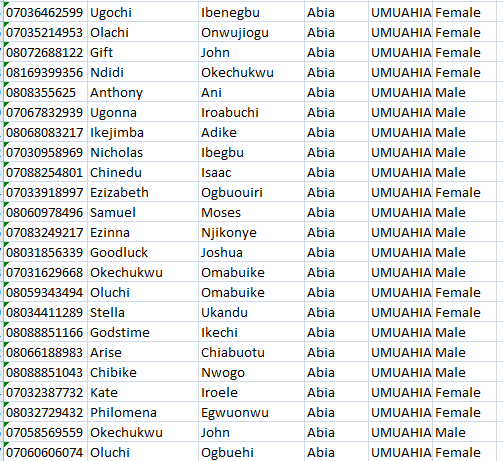 We have over 21 million fresh INEC Nigerian phone numbers in our database. Our list covers GSM phone numbers from every state throughout Nigeria sorted according to the 36 states in Nigeria including FCT Abuja ,So you can rest assured whatever message you are passing through will be received all over the country instantly. This is a limited time promo. We will return to the normal price as the offer expires . 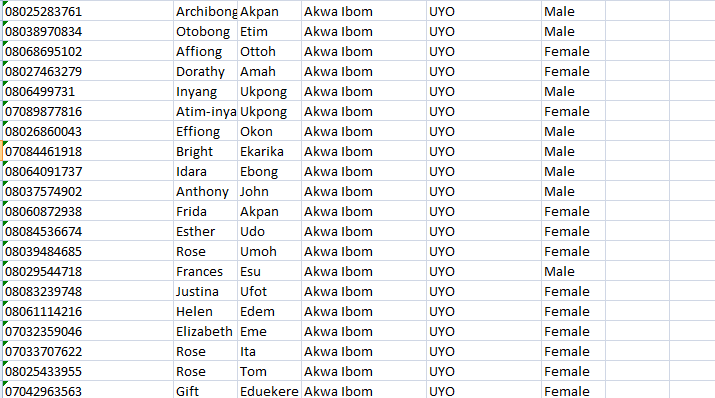 Just N49,900 To have complete access to download this database. Purchase and Download active Nigerian mobile phone and GSM number database list from all the 36 states of Nigeria and their Local Government for marketing to targeted audience. We have a comprehensive database of valid and active Nigerian Phone Numbers sorted and classified into state by state and each state's Mobile number collection is further grouped by their local Government (LGA). Our GSM Numbers database was recently obtained and it has a very high percent of active (ie ringing) numbers. Our list makes it easier for your targeted location-based campaigns, advertisements and mobile marketing activities in a cost effective way. 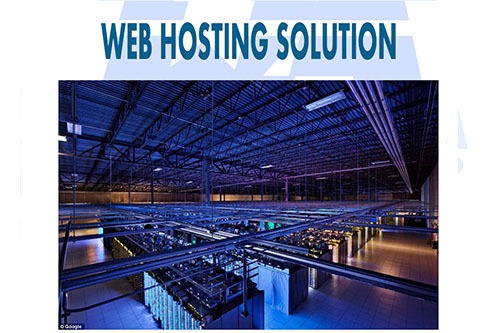 We offer a very affordable and flexible. Though the mobile gsm database was obtained through a painstaking and expensive process, we have decided to offer it at a giveaway price . We can sell the entire Mobile Numbers database at a token or one may decide to order up the entire GSM database for a particular state. We also sell in smaller bits. We sell to suit your needs and choice. We will forward the database to your inbox after confirming your payment, so you can download at will. 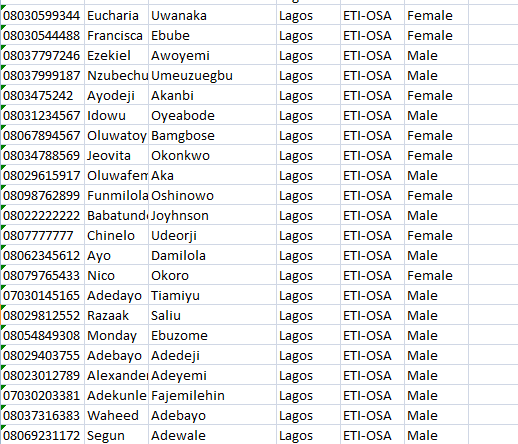 The following lists and locations are covered within our Number Database. Our Bulksms Website Creator is the worlds most powerful BulkSMS Component for online Bulk SMS businesses which provides client management, message management, phonebook management, detailed billing, credit management. 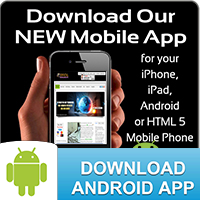 mobile Apps, Online payment integration, SMS routing and much more. You don't need to understand programming at all, we've made it user friendly. Save time, save energy and start making money in no time. Bulksms Website Creator .supports every major HTTP Gateway in the world! It comes with amazing features that make you earn 3 times as you would earn with other SMS portal solutions. 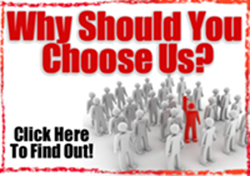 Its simple to install, easy to use and best of all, it tripples your earning potential! Now You Too Can Quickly & Easily Reach Out to New Customers in Every State of The Federation With Your PRODUCTS or SERVICES! I am happy to inform you about the upgrade in our GSM Numbers Database and also let you know about the mouth watering offer we are rolling out from now till July 23, 2013. I am very excited to let you know that this month is my month and to CELEBRATE with you I’m giving away a limited number of copies of Our On-Demand Nigeria GSM Numbers Database. Make sure You don’t Miss this Golden Opportunity!!! Get the Complete state-by-state GSM Phone Number Database (over 81 Million Nigeria phone nos) or Complete GSM Number Database of any state in Nigeria. Before You Read On, Here Is A SNAPSHOT..
Do you want to DRIVE MASSIVE SALES, PATRONAGE or AWARENESS to your Products or Services. The reasons you have to join the bandwagon of Mobile Marketers in all your marketing campaigns are so numerous. 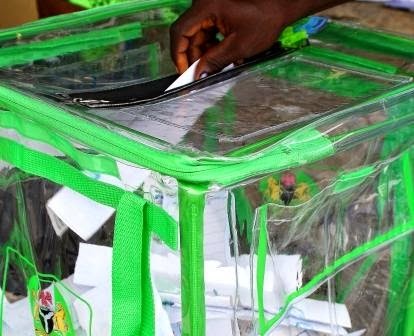 Public Office aspirants will be looking for and beg you to sell them Nigerian phone numbers so that they will be able to propagate and reach millions of electorate for electoral activities. You need to get this GSM phone numbers for GSM Short Code Business, Bulk SMS Business, Quiz Competition etc. You make money from Firms and Entrepreneurs that need Nigerian GSM Phone numbers to advertise their products and services to millions of Nigerians. 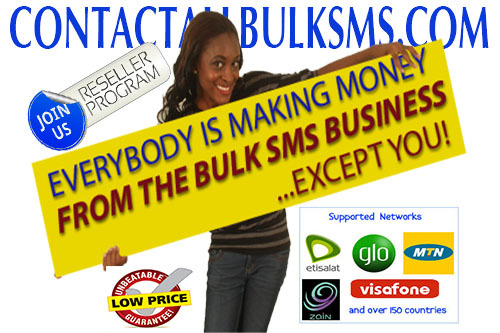 If you are also an Internet/Information marketer you will also make money by sending advert through SMS to these number base of Nigerian phone users. You can’t record much patronage in your business if you do not employ mobile marketing as the technology market is now the most growing market in Nigeria. It is a never-dry source of Income because every sector of the economy and business need GSM phone numbers to market their products & services. Do you know that there are close to 2 Million GSM subscribers in each state excluding Lagos that has over 6 Million plus? Imagine if you send SMS advert to 100,000 recipients in your location (State) and ONLY 2% of that 100,000 contact you to buy your product/service. It is VERY POSSIBLE! 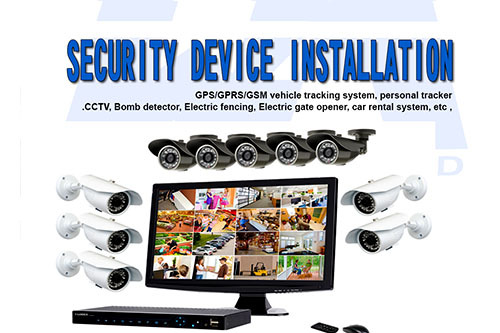 Our clients have testified positive to it. Yes! that is a total of Two Million Naira from just 2% of 100,000 recipients. What if you get more than 2% patronage, Which is VERY possible. Now that is the advantage of Bulk SMS advert. It works like magic. But you need Certified GSM numbers. PERIOD! Now, is the time to Promote and advertise your products and services to Nigerian database of phone users – corporate bodies and individuals by sending advert text messages. Here Is Your Chance To Have INSTANT Access To 81 Million Nationwide GSM Numbers Database….At Almost Zero Cost – Even IF You Are A Small Business Owner! Read On, To Discover How You Can Get This At An Absolutely Ridiculous Price. 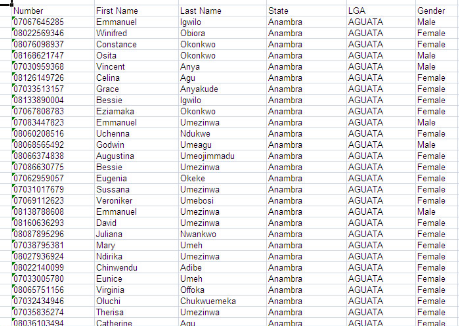 Get The Full Nigeria GSM Database Right Now, Or Simply Order For The Database Of Any State of Your Choice! 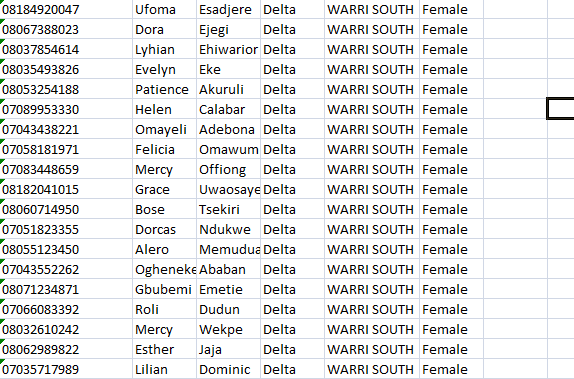 These GSM numbers are available for every state of the Federation. Learn to unlock your Modem and browse with what ever sim card you like. How To Create Mini Websites In Less Than 60 Minutes. N.B: The Bonuses is Only Available for the First 10 Nigerians to Order The GSM Number Database. How Much Will This PRICELESS Resource Go For? I can hear your heartbeat…you’re thinking am going to charge #250,000.. Right? 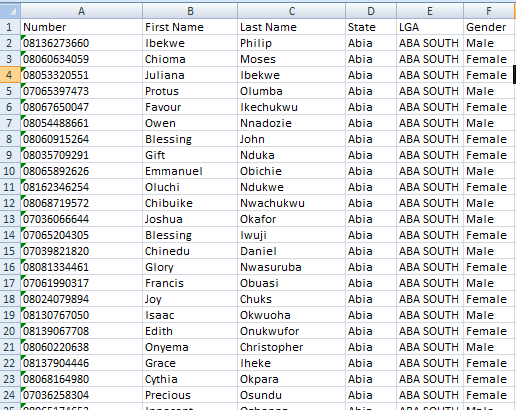 Well for your information the Full Nationwide GSM Numbers Database (81Million +) sells for as much as #250,000. I understand the condition of the country; and I know that all fingers are not equal. So, you will need to pay ONLY a small token for us to handover this invaluable resource. In Short, After all thoughts and considerations, I have decide to give it out @ YOUR Own Price. Now, here is the DEAL! Pick up your phone…call any of our Hotlines…08064153866 OR 08160334538… and tell us how much you want to pay for this priceless resource and its yours! GBAM!!! And not only that, you will also get all the bonuses above if you qualify**. PS: This Offer Now Ends On Tuesday 23 July, 2013 due to the Weekend Break and I Mean It – You Will Not See This Again Anywhere! You Can Also Reserve a Copy By, Texting “Reserve My GSM Database“, Your Name, GSM, Email and Your Offer Price to 08064153866 OR 08160334538 now! 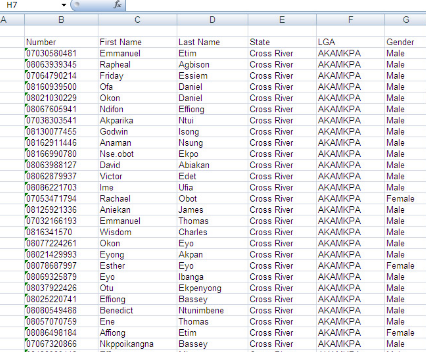 PPPS: You Can Also Order For The Database Of Any State Of Your Choice! PPPPS: You Will Only Get Our Bank Details For Payment After Sending Across Your Offer! PPPPPS: Once You Get These Numbers, They Are Yours FOREVER – Meaning You Can Use Them Over And Over Again! PPPPPPS: So, My Dear, What Are You Waiting For? Go Ahead And Give Us A Call Right Away!